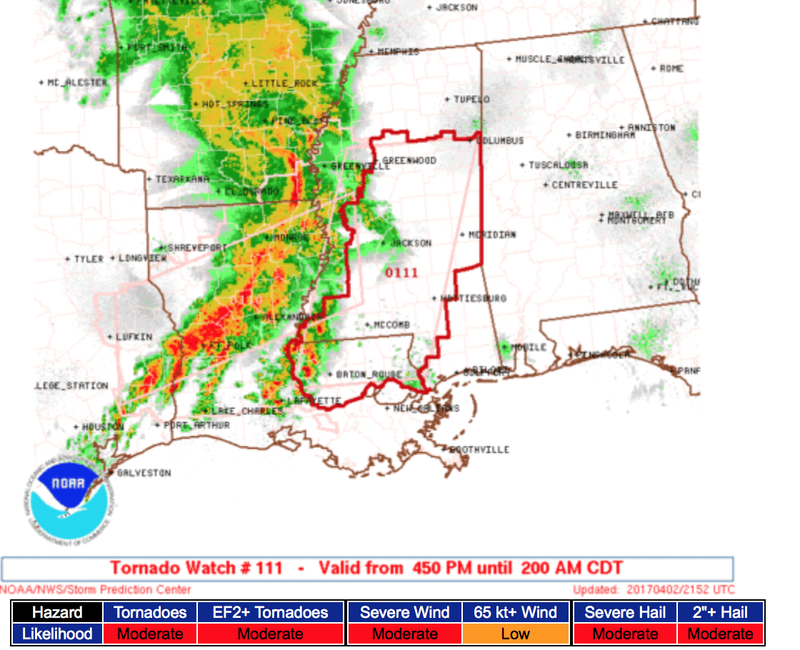 A new tornado watch for Mississippi and southeast Louisiana (not including New Orleans) has just been issued. Jackson, Greenwood, McComb, Hattiesburg and Baton Rouge are included. WeatherCall which calls only if you are in the path of the tornado. With these you do not have to stay up all night and watch television.